Mon-Wed 9:00 a.m. 5:30 p.m. 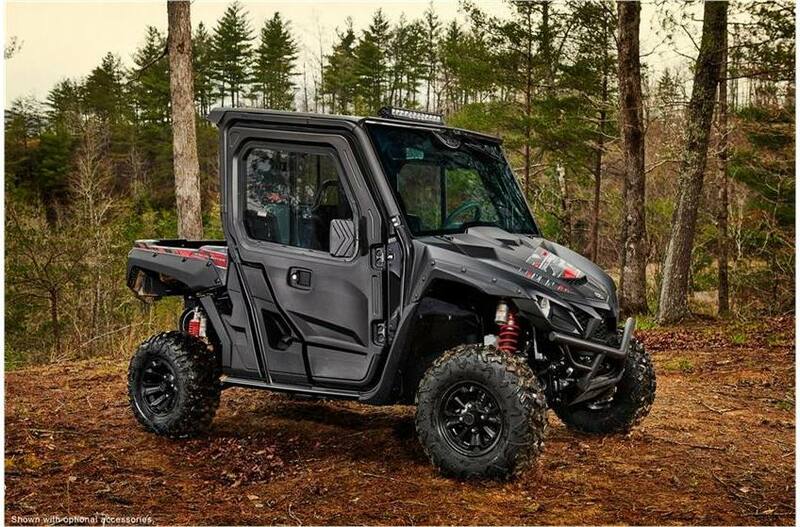 The proven off‑road Wolverine X2 R‑Spec Special Edition with painted exterior, upgraded graphics, color‑matched interior and more. Real World Tech: Yamaha's advantages in the side-by-side industry are easily seen in the technology that comes standard with every Wolverine X2™ R-Spec SE: top-shelf, fully adjustable suspension, driver-centric On-Command® 4WD, ultra-reliable Ultramatic® CVT and industry-leading, speed-sensitive Electric Power Steering. High-Performance Suspension: The Wolverine X2 R-Spec SE offers class-leading suspension performance that blurs the line between utility comfort and sports performance. Full-adjustable shocks offer extensive adjustment range, plush control and long-lasting durability. Potent 847cc Twin-Cylinder Powerplant: Featuring drive-by-wire throttle, a 270-degree crankshaft design and lightweight internals, the Wolverine X2 R-Spec SE shares technology with Yamaha's class-leading sportbikes, for thrilling performance on every ride with unmatched smoothness and refinement. 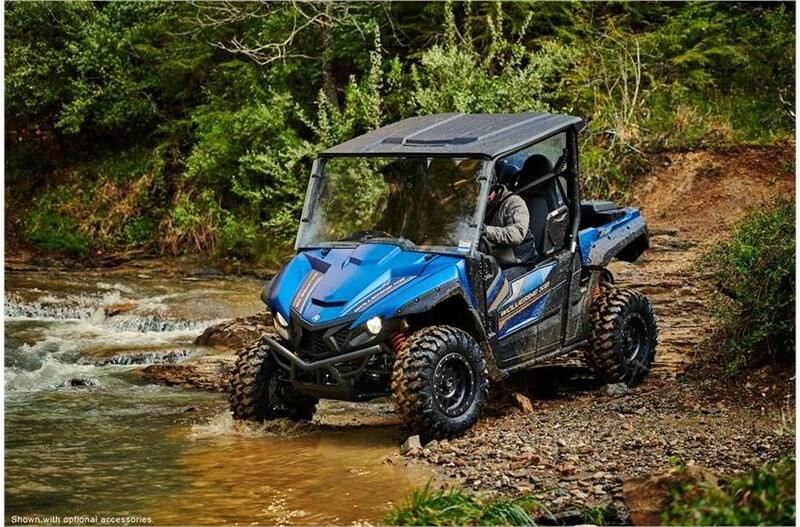 Versatility Unequaled: The Wolverine X2 R-Spec SE offers a balance of work-ready functionality, refined comfort and trail-proven capability that makes Yamaha the ultimate outdoor adventure partner. Spacious, Flexible Ergonomics: With high-back seats, shoulder bolsters and plenty of legroom, the Wolverine X2 R-Spec SE offers comfortable, secure seating for whatever and wherever your next adventure takes you. Smooth and Powerful Twin-Cylinder Engine: The Wolverine X2 R-Spec SE is powered by an 847cc DOHC, eight-valve, parallel twin-cylinder motor that features the full range of Yamaha's advanced performance technologies. Forged pistons and connecting rods ensure durable high-rpm performance, with Yamaha's 270° Crossplane Concept Crankshaft for linear torque development and excellent power throughout the rpm range. To improve efficiency, the engine features a dry-sump design for a more compact layout and offset cylinder block to reduce friction loss, while rubber engine mounts and a geared counterbalancer ensures smooth running from idle to redline. On-Command 4WD: Yamaha's renowned On-Command 4WD system lets you switch between 2WD, limited-slip 4WD and a fully locked differential 4WD. Unlike competitors' automatic 4WD systems, On-Command puts the driver in full control to make the most of available traction in any sort of terrain. Ultramatic Transmission: Yamaha's Ultramatic transmission is the most advanced—and durable—CVT drive system available. An automatic centrifugal clutch maintains constant belt tension for reduced belt wear and a sprag clutch delivers natural all-wheel engine braking. In the Wolverine X2 R-Spec SE, a robust clutching system features an oversized belt for durability under aggressive riding, while still maintaining low cruising rpm for smooth, quiet running. 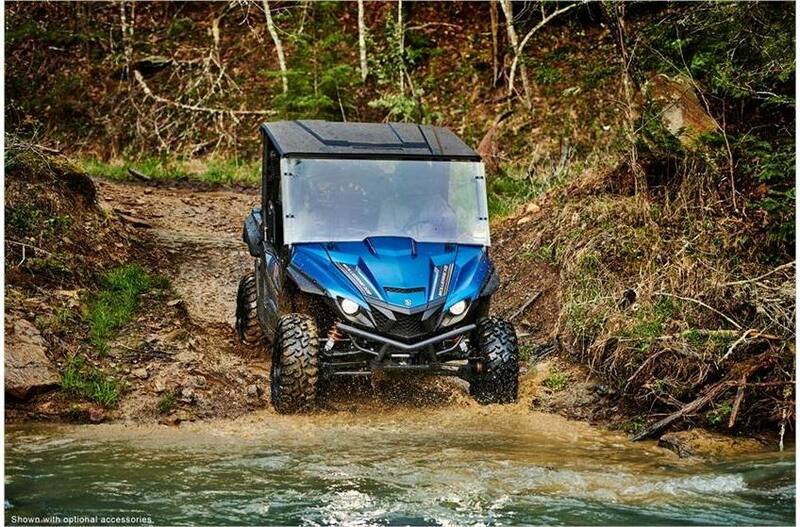 Compact and Nimble Chassis: Designed for maneuverability, the Wolverine X2 R-Spec SE chassis is super agile, making tight trails a breeze, with lightweight steering to select the ideal line when tackling obstacles. With an upswept underbody design and wide-arc A-arms, the Wolverine X2 R-Spec SE boasts big approach and departure angles to clear challenging terrain, with plenty of clearance to get in and out of the most remote areas. 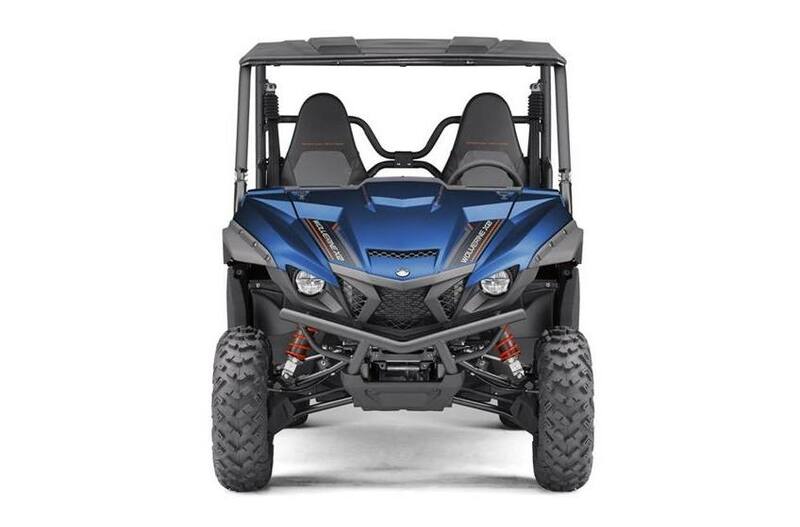 Yamaha Chip Controlled Throttle (YCC-T): The Wolverine X2 R-Spec SE engine utilizes YCC-T®, a drive-by-wire system that converts the driver's commands into precise throttle control—Real World Tech for impeccable engine response. Throttle response is further enhanced thanks to a ‘high-response' servo motor for ultrafast throttle application, 12-hole fuel injectors, and a high-volume airbox with two-stage air filtration. 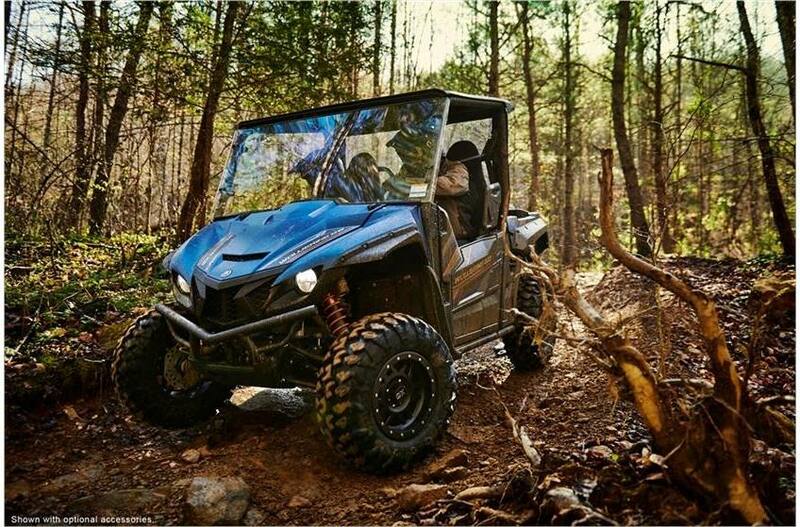 Class-Leading Electric Power Steering: Yamaha's Electric Power Steering (EPS) provides the industry's best balance of steering assist and positive feedback from the trail, with light steering, speed-sensitive steering response, and minimal fatigue. High-Performance Suspension: The Wolverine X2 R-Spec SE features advanced suspension technology typically found only on sports-focused side-by-sides, for enhanced chassis control and adjustability with awesome response and handling feel. The KYB® piggyback shocks are fully adjustable for spring preload, rebound damping, and both high- and low-speed compression damping, which gives the Wolverine X2 R-Spec SE an exceptionally tunable ride character, whether the day calls for cargo carrying or trail blasting. Powerful All-Wheel Disc Brakes: Large 207mm vented disc brakes with two-piston calipers provide exceptional stopping power on all four wheels, with excellent feel and minimal noise. Maximum Versatility: The Wolverine X2 R-Spec SE features an all-new tilting cargo bed to simplify hauling duties. Built with hydraulic assistance and a robust latch system, the bed transports up to 600 pounds, with multiple tie-down points to secure cargo or attach accessories. Add in a full 2,000 pounds of towing capacity thanks to the standard 2-in receiver, and the Wolverine X2 R-Spec SE is ready to get to work when you are. 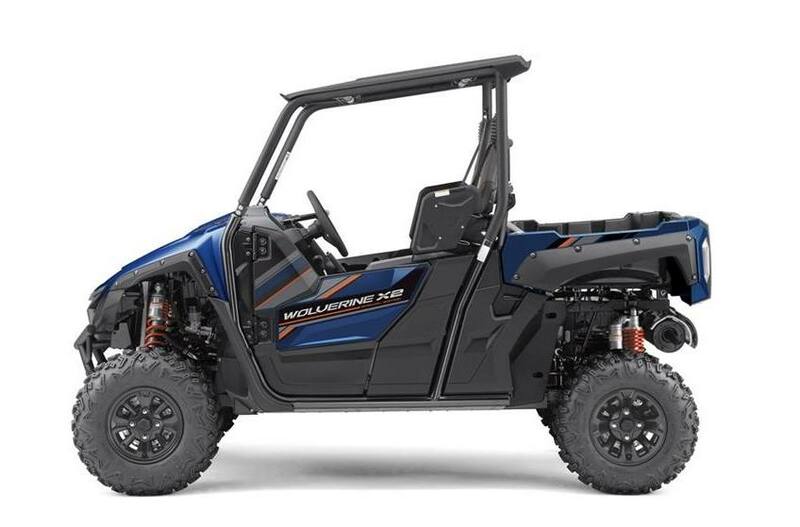 Adventure Pro Ready: The Wolverine X2 R-Spec SE comes pre-wired for Yamaha's exclusive Adventure Pro GPS system, unlocking the next level of trail-ready navigation. This state-of-the-art GPS unit combines a range of functions into a single rugged 7-in full-color display. Search, download, record and share trail routes. Challenge your friends to time trials on saved courses. And with Yamaha's uniquely integrated software, the Adventure Pro system also communicates with the Wolverine X2 R-Spec SE's ECU to display vehicle data and warnings with exceptional clarity. Roomy, Practical Ergonomics: With high-backed seats, each with shoulder bolsters and automotive-style three-point seat belts, the Wolverine X2 R-Spec SE provides a comfortable perch for driver and passenger. A standard sun top, multiple cup holders, high-traction floorboards and adjustable driver seat and steering column round out the amenities. 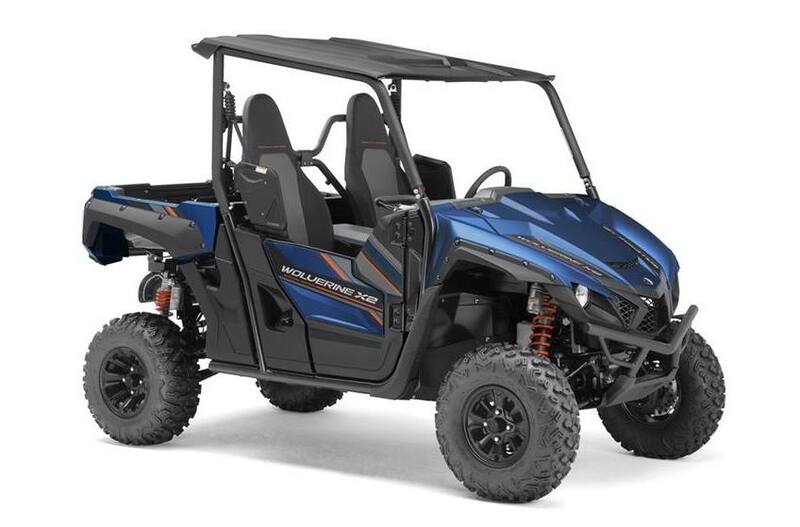 Smooth, Quiet Powertrain: Thanks to helical-cut drivetrain gearing, the rubber-mounted and counterbalanced engine, and a variety of noise- and vibration-reducing inserts around the cabin, the Wolverine X2 R-Spec SE is one of the smoothest and quietest recreational side-by-sides ever built. Sneak through trails without disturbing nearby animals, or simply enjoy the improved refinement after a long day riding on the trail. Ultra-Quiet Cabin: The Wolverine X2 R-Spec SE is one of the smoothest and quietest side-by-sides ever made. Noise, vibration and harshness—NVH in engineering terms—is minimalized thanks to the refinement of the twin-cylinder powerplant as well as an array of specially-formed body panels and insulating dampers throughout the chassis. Superior Mud Protection: Full-enclosed doors and high, wide fenders ensure that mud, rocks and sticks all stay outside the cabin so you and your passenger can enjoy the ride even more. Plush Suspension: Thanks to the well-developed suspension tuning, the Wolverine X2 R-Spec SE provides a plush, well-damped riding feel that further improves cabin comfort. LED Lighting: The Wolverine X2 R-Spec SE features LED headlights and taillights, for brilliant visibility, long life and minimal power draw. 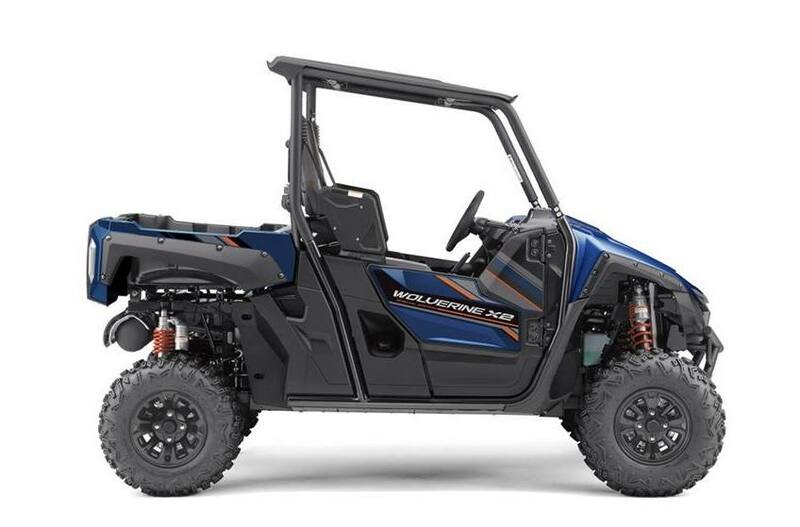 Accessory Ready: With nearly 600 watts of electrical output from the engine, a standard 12V DC port and multiple pre-wired accessory switches, the Wolverine X2 R-Spec SE is ready for a wide range of accessories and add-ons. Industry's Most Durable CVT: The Wolverine X2 R-Spec SE transmission uses its own cooling intake to maintain proper temperatures, an oversized belt to handle the torque of the large motor, and Yamaha's unique sprag clutch to maintain constant belt tension—the end result is a drivetrain built for years of trouble-free service that leaves the competition in the dust. Reliable Engine Lubrication and Cooling: With a large oil capacity circulating in the dry-sump system, a liquid-cooled oil cooler, and a large radiator with integrated blower, the Wolverine X2 R-Spec SE powerplant is able to handle the toughest jobs without complaint. 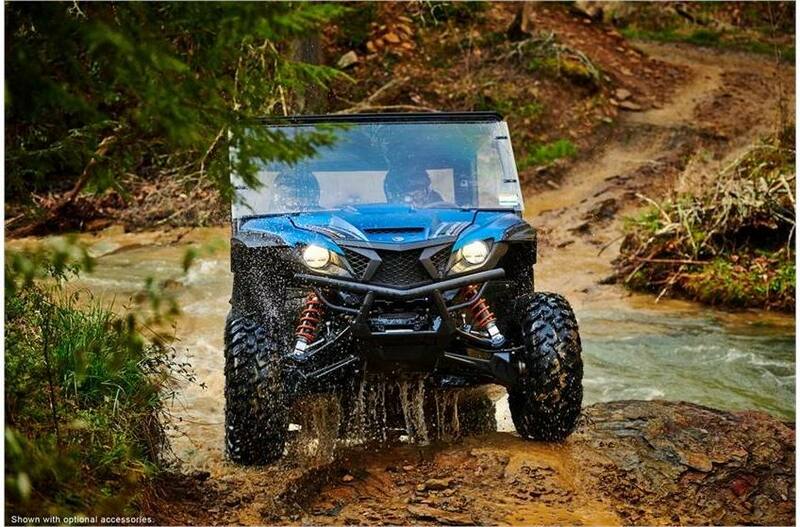 Full Underbody Skid Plates: Skid plates protect the entire underbody of the Wolverine X2 R-Spec SE, from the front differential to the rear gear case, to ensure gnarly terrain doesn't stop you. And as with other Yamaha machines, the skid plates include convenient service points to access fluid drain locations without removing the guards. Complete Instrumentation: The all-digital meter gives the driver a complete picture at a glance, with a large dimmable readout. Vehicle status and warnings are clearly displayed, along with easily accessible odometers and trip and hour meters. And with the Adventure Pro system installed, additional vehicle data is clearly displayed on a brilliantly crisp, full-color 7-in display. Speed Management System: The Wolverine X2 R-Spec SE also comes standard with a Speed Management System which allows the owner to limit the vehicle to a top speed of 25 mph, ideal for work sites or other special operating conditions. 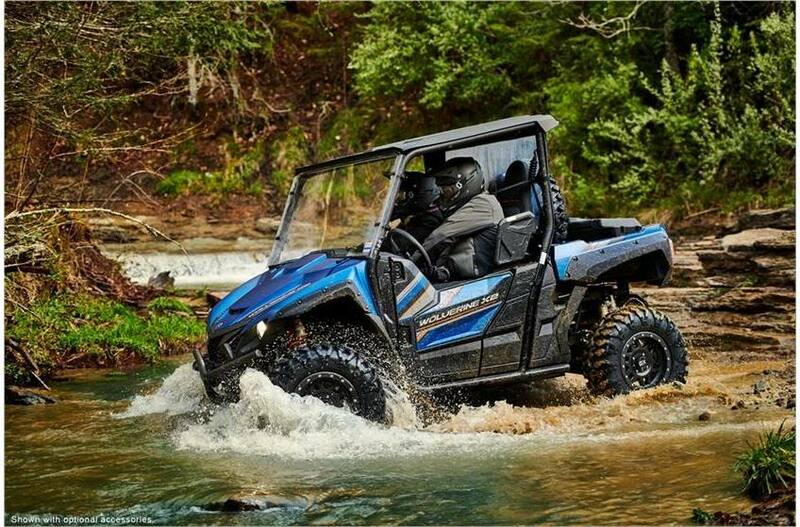 Built Real World Tough™, Assembled in the USA: As with other Yamaha ATVs and Side-by-Sides, the Wolverine X2 R-Spec SE is assembled in the USA to meet Yamaha's exacting standards for durability and reliability. L x W x H: 115.0 in. x 59.1 in. x 74.8 in. Maximum Ground Clearance: 11.0 in. Professional driver on closed course. Always protect the environment and wear your seat belt, helmet, eye protection and protective clothing. Read the owner's manual and product warning labels before operation. Model shown with optional accessories. Vehicle specifications subject to change. Wet weight includes the vehicle with all standard equipment and all fluids, including oil, coolant (as applicable) and a full tank of fuel. It does not include the weight of options or accessories. Wet weight is useful in making real-world comparisons with other models. The riders depicted on this website are professionals, and all of the action was shot on a closed course. At Yamaha, we want every ride to be safe and enjoyable. Always dress properly for your ride with a helmet, eye protection and protective clothing. Avoid excessive speeds and never engage in stunt riding. Never ride under the influence of alcohol or other drugs; it is illegal and dangerous. Always inspect your Yamaha before riding. Read the Owner's Manual and the product warning labels before operation. Yamaha and the Motorcycle Safety Foundation encourage you to ride safely and respect the environment. For safety and training information, see your dealer or call the MSF at 800.446.9227. Monthly payments required. Valid on Amount Financed of $2,500 or more of new 2018 Star Venture & Eluder purchases made between 2/1/19 and 6/30/19 on your Yamaha installment loan account. Offer available on approved purchases of new 2016-2019 Yamaha Motorcycles, Scooters, ATVs and Side-by-Sides made on the Yamaha Credit Card issued by WebBank, member FDIC. Subject to credit approval as determined by WebBank. Offer valid 2/1/19 through 6/30/19. Available to cardholders of the WebBank Yamaha Card. Account must be open and current to be eligible for this offer. Promotional 2.99%, 5.99%, 9.99% or 16.99% APR with Minimum Payments of 2.92%, 3.05%, 3.24% or 3.57% respectively of the purchase price balance, based on your creditworthiness, are effective until the purchase is paid in full. Minimum Interest Charge $2 per month. Standard APR 15.99%-23.99%. Rate of 0%, 5.99%, 9.99%, 13.49% or 16.99% will be assigned based on credit approval criteria. Example: A 60-month term on a $24,000 purchase, at a 0% rate requires monthly payments of $400. A 60-month term on a $24,000 purchase, at a 16.99% rate requires monthly payments of $596.33. Program minimum amount financed is $2,500 and minimum 0-10% down payment required. Offer is subject to credit approval by Synchrony Bank. CANNOT BE COMBINED WITH CUSTOMER CASH OFFER. Customer cash offer good on select models 2/1/2019 through 6/30/2019. See dealer for additional customer cash available on prior year models. 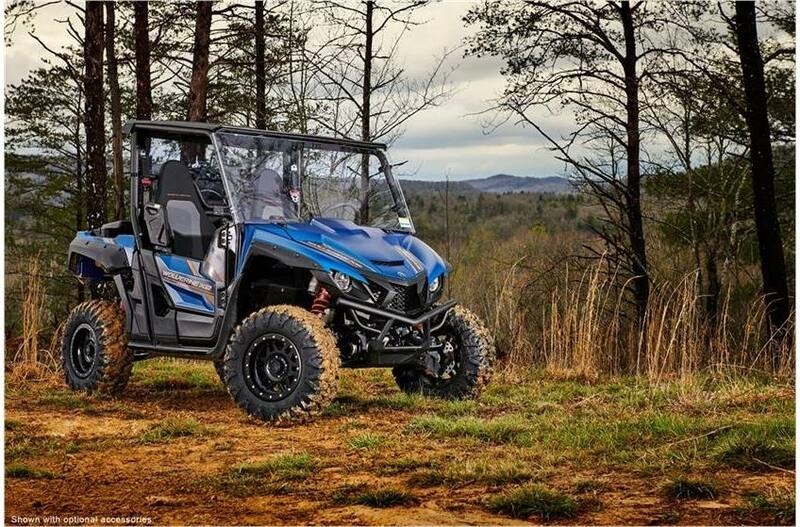 The Yamaha 10-year-belt warranty covers all Assembled in the USA 2019 models with the exclusive Ultramatic Automatic Transmission, including the all-new Wolverine X2 and X4, Viking, Kodiak and full-size Grizzly models. Customer Cash offer good on select models between February 01, 2019 through June 30, 2019. See dealer for additional customer cash available on prior year models. Customer cash offer good on select models between 1/1/2019 through 5/31/2019. See dealer for additional customer cash available on prior year models. 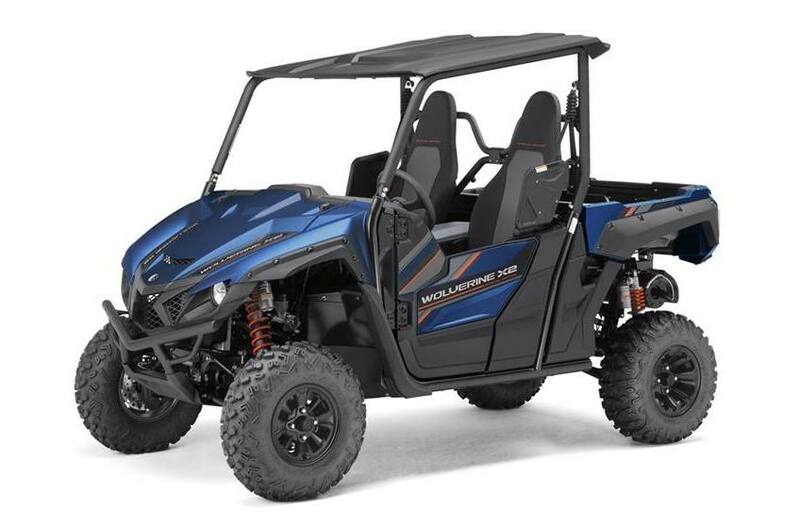 Purchase a new 2019 SRViper, Sidewinder or VK540 snowmobile model (Spring Power Surge, LE, SnoScoot and SRX 120 units not included) between 1/1/19 to 5/31/19 and receive a free 12-month Y.E.S. (Yamaha Extended Service) contract for a total of 2 years genuine Yamaha coverage. Includes 12-month factory warranty + 12-month Y.E.S. 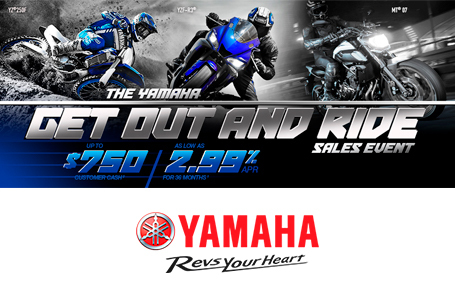 Benefit offered in Florida and Washington is a 12 month Yamaha Limited Warranty. See dealer for details.